We’d like to take a moment to reflect on this past week’s natural disaster in Florida and parts of South Carolina and Georgia. Our hearts go out to all of our RSM colleagues, clients and friends in these communities as they begin to assess the damage from Hurricane Irma. Similar to the recent effect from Hurricane Harvey in Texas, the firm is pledging its support to help our people who have been affected as well as the charitable organizations are supporting relief efforts. Our hearts are with you. The induction ceremony will be held at the Cipriani Wall Street in New York Cup on Sept. 26. It’s a busy week for Love, who will also be serving a second stint as an assistant captain for the U.S. Team during the Presidents Cup at Liberty National in New Jersey. Love said it took three or four days to decide what items he wanted to loan to the World Golf Hall of Fame. Some were at his mother’s house and his agent’s office. Other pieces were on display in the clubhouses at Sea Island Resort in Georgia, where Love hosts the RSM Classic in November. He had plenty at his home, too. 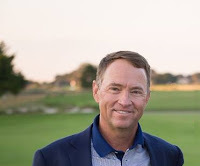 This is a great article, which features a video of Davis with Dr. Tony Parker, head historian from the Golf Hall of Fame. Read the full article here. Out on the links, the BMW Championship takes place this week in Lake Forest, IL. Playing in the tournament is Team RSM Member Zach Johnson, along with past RSM Classic winners Robert Streb (2014), Kevin Kisner (2015) and Mackenzie Hughes (2016). First to hit the course is Zach at 9 a.m. CT; teeing off at 10:06 a.m. is Kevin; Mackenzie will start at 11:55 a.m.; and Robert will tee at 1:01 p.m.. All players will start from tee No. 1. Best of luck to each of “our guys” this week! And to wrap up this week’s post, today we are officially under the two-month mark until the 2017 RSM Classic (Nov. 13-19)! Since we can hardly wait to be back at the beautiful Sea Island, here’s a little teaser for tournament week! Get your tickets today!